Indonesia will kick off its campaign in February to become a member of the United Nations Human Rights Council (UNHRC) for the 2020-2022 period. 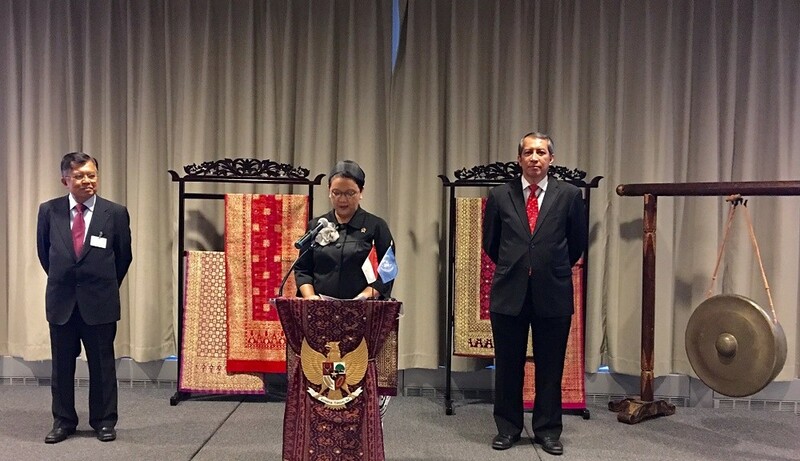 The move follows Foreign Minister Retno Marsudi’s announcement earlier this month that Jakarta would nominate itself for a spot on the top human rights body, which is based in Geneva, Switzerland. "We will start the campaign in late February in Geneva. We will put as much effort into it as we did in a similar campaign for the UN Security Council last year," said Febrian A. Ruddyard, the Foreign Ministry’s director general for multilateral cooperation, on Wednesday. Indonesia has just begun its two-year tenure serving on the UN Security Council, having won a nonpermanent seat against the Maldives in a secret ballot last year. Jakarta is now seeking a fifth term on the UN Human Right Council, having served a year on the council when it was formed in 2006. It was re-elected for the 2007-2010 period, then again for 2011-2014 and finally for the period of 2015 to 2017. Indonesia’s current ambassador to the UN in New York, Dian Triansyah Djani, served as vice president of the council between 2009 and 2010. Febrian said Indonesia’s nomination to the council aimed to showcase its commitment to human rights and its transparency on the matter, despite some shortcomings. The official did not deny Indonesia might face pressure from home and abroad, especially in relation to accusations of human rights violations within its own borders. However, he chose instead to take the challenge as encouragement for Indonesia to make a stronger commitment to human rights. "We understand that there are some weaknesses [in regard to human rights enforcement at home], but what is more important is our commitment going forward,” Febrian told reporters in Jakarta. The Joko “Jokowi” Widodo administration has drawn criticism for snubbing cases of past human rights violations, and more lately for its military-heavy approach to handling security issues in Papua. A successful nomination to the UN council would provide the government with an opportunity to brandish a positive image of the nation abroad, experts say. It might also add to President Jokowi's credentials ahead of his re-election bid in April, despite a fabled disinterest in foreign policy matters. "Now [we must address the issue] by empowering the existing mechanisms and [learning] how to address the issue more quickly,” Febrian said. The Human Rights Working Group said Indonesia’s efforts to achieve its foreign policy priorities – outlined in Retno’s annual policy speech earlier this month – will bear fruit “only when [it] continues to uphold the principles of human rights and democracy in collaboration with relevant government bodies and civil society”. “Indonesia should avail itself of the opportunity to play its role as a UN Security Council member, and a UN Human Rights Council member candidate, by championing conflict and war resolutions while adhering to human rights principles,” the HRWG said in a recent statement. The election of UNHRC members will take place in October this year. Indonesia is running as a representative of the Asia-Pacific region, where there will be four seats available for five candidates.